When pests jeopardize your garden's beauty and bounty, shake your plant troubles — and unwanted bugs — away. 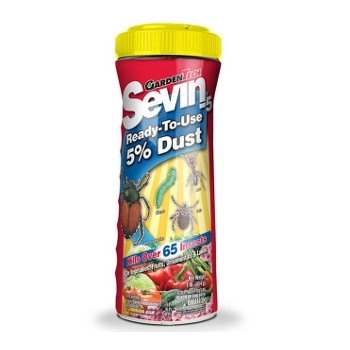 With Sevin®-5 Ready-To-Use 5% Dust, no measuring, mixing or water is necessary. A thin, even dusting from the shaker container kills insect pests on ornamentals, flowers, vegetables, fruits and lawns.